How I said above, it's just a prototype, and probably you'll see "Amazonia Region II" or "Amazonia Region III" someday. The green has an obvious meaning, hasn't it? It's the rainforest! There are nine slim stripes, symbolizing the nine aforementioned countries. One of those stripes (the central one) is thicker, because it symbolizes the Amazon River, that cross the South American continent in horizontal direction. The blue is the water, and the white means Life, the lives of animals, plants, living beings, but mainly the noble peoples that inhabit this region. It's a flag to the people from Amazonia, not a political flag, or something like this — but, if someday all the "Amazonic" countries really unite to preserve this heritage, one of that would be needed. It's a prototype, I'm going to work to improve it. Please, comment and disclose the blog. Your contribution is very important to me! 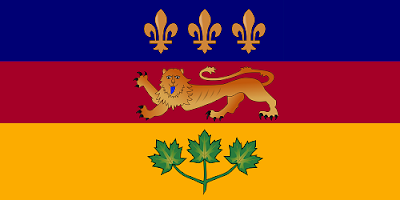 As I announced last post, the flag I'll show today is from someplace without any coat of arms, seal or logo (I don't know any of them, at least). I'll propose a flag to Flores Island. Flores is an island arc located in the east Indonesia, and its special charm is the fact it was colonized by Portuguese and until today keeps alive the Iberic influences. 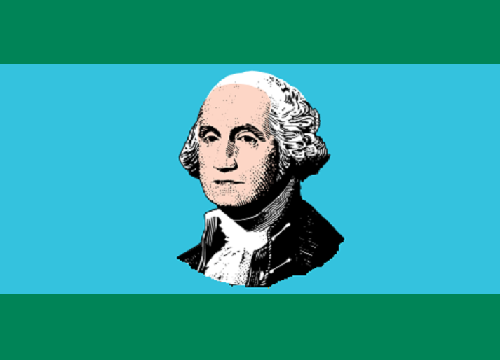 The island has no political unity, and never had a flag. But it would be useful if someday Flores join the CPLP (Community of Portuguese Speaking Countries) or other cultural organizations separately from Indonesia. 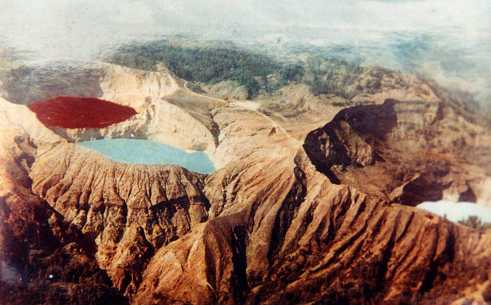 Flores could have a lot of symbols: the Homo floriensis, the Flores giant-rat, the Kelimutu, etc. The Flores man is a prehistoric dwarf relative of human specie. I don't know how to show in a flag why the Flores man is known as "the hobbit". About the Flores giant-rat, it would be as controversial as put a chupacabra in Puerto Rican flag! I thought about flowers (in Portuguese, "flores"), but it wouldn't be the most associable symbol. The Kelimutu is the main tourist attraction of Flores and good enough to be in a flag. The orange background is because it makes remember Flores is a volcanic island. 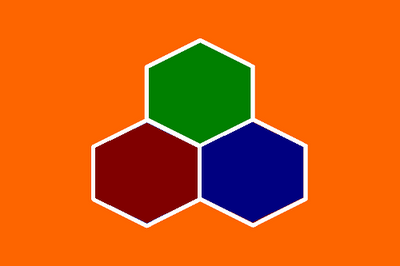 The only function of the hexagons is be nestable. What I like more is that is it doesn't remind Portugal neither Indonesia. It's just a neutral flag. The white lines are here just because the rule "no colour upon colour". That's all! 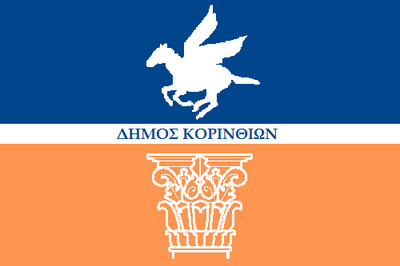 Do you have any point of view about this flag or this post? You're free to comment! Thank you for reading. Follow the next posts, please. I'm a History lover and, since my eight or nine years, one of my favorites civilizations is the Ancient Greece. And I'm fascinated with the city-states. And one of my preferred city-states is Corinthia. 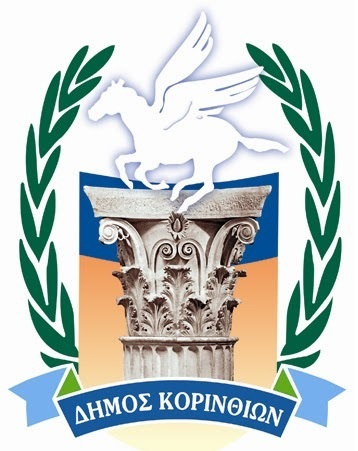 The basis of this design is the seal of the city (the one below this paragraph). I maintained the pegasus and the ancient column, and the main colors, the blue and the light orange. I dropped the crown (probably an olive crown) by purely aesthetic reasons. I should drop the script too, but, unfortunatelly, this is a thing policians like — moreover, it makes clear that it's a municipal flag, and not a flag for Corinthia regional unity, Corinthian historic region or something else. And, in the end, I want to show you a personal thinking: a lot of places around world have their own seal, coat of arms or logo, but not a flag, and I don't understand this lack of consideration. People "without a flag" have difficulties in identificate theirself as collectivity. 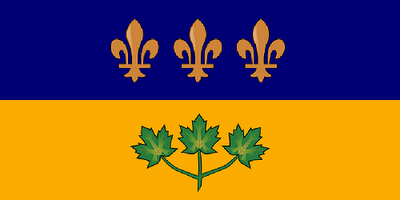 Take a coat of arms, a seal, a logo, a mascot or something like that and make a flag. It's what I did in this post, and it isn't hard — no more than a seal, a logo or arms. My next post'll be about someplace without seal, arms, logo, mascot or souvenir: wait! Sorry the poor drawing of the flag, I don't use pro tools. Sorry my bad English, I'm trying to get it better. Thank you for read my blog, I hope you liked. If you liked, subscribe this blog and follow me. Do you have an opinion about this post? I'm open to comments. The Franco-Canadians in Anglophone provinces has their own flag (see here), then, the Anglo-Canadians in Quebec should have a flag too. Why not? 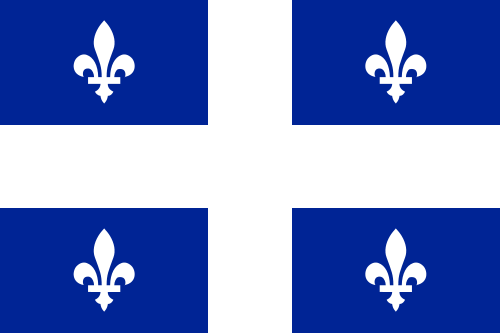 Naturally, the Anglo-Quebecois may have some familiarity and consideration with this flag (not everyone, but some of them). Other influece was this early Quebec proposal flag. 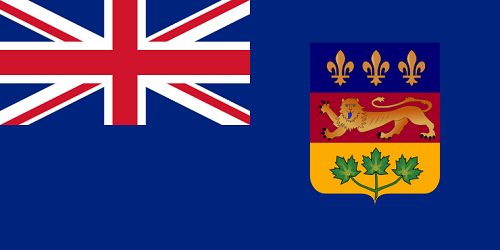 My first proposal flag excludes the Naval Jack, making it a more contemporary design. 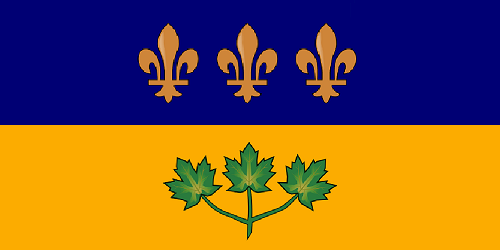 I think that a more meaningful flag should have just the fleur-de-lis and the maple leaf, meaning duality and unity. This design is, for me, a lot more beautiful - classic and modern in same proportions. This is from a serie of done flags I have. In next weeks, I'll post them randomly. Thank you. I hope you liked this post. If yes, follow me. 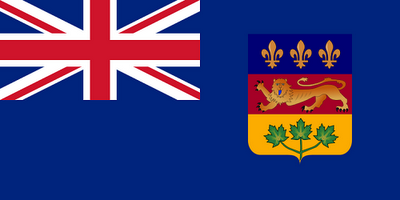 I knew a very interesting blog: Fix the Flags, about mainly American and Australian vexillology. This blog was the main inspiration for me to create this blog - I've been had this idea for long, but I finally did it. One of this posts is about the Washington state flag (see here). The big problem with this flag is that it contains a seal. It's a very common element in American vexillology - I'm Brazilian and I'll probably never understand that. 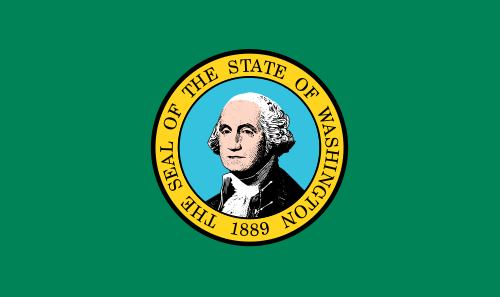 It's massively based in current Washington's flag, but with a more modern design. 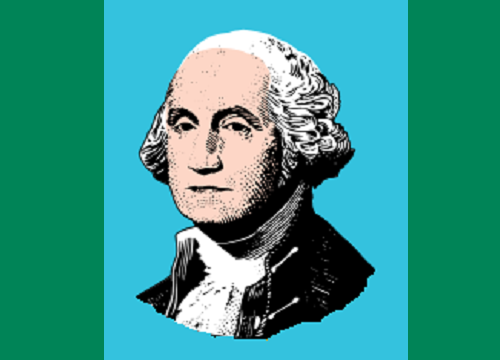 I tried to use a George Washington's shadow, but none worked. It was my first post. Thank you and hope you liked. P.S. Sorry my bad English, as I said before, I'm Brazilian. It's getting better all the time.